The upgraded Boeing 777 brings more luxury, comfort and choice to the Australian skies and gives customers the ability to create the travel experience they want. All four branded seat products offered by Delta – including the Delta One suite, Delta Premium Select, Delta Comfort+ and Main Cabin – giving customers the ability to choose the product that best suits their needs and aligning with partner Virgin Australia’s offerings. 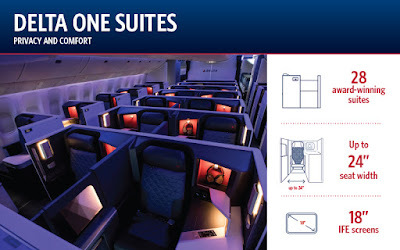 The Crystal Cabin Award-Winning Delta One suite – the first business class suite with a door available between Australia and the United States. 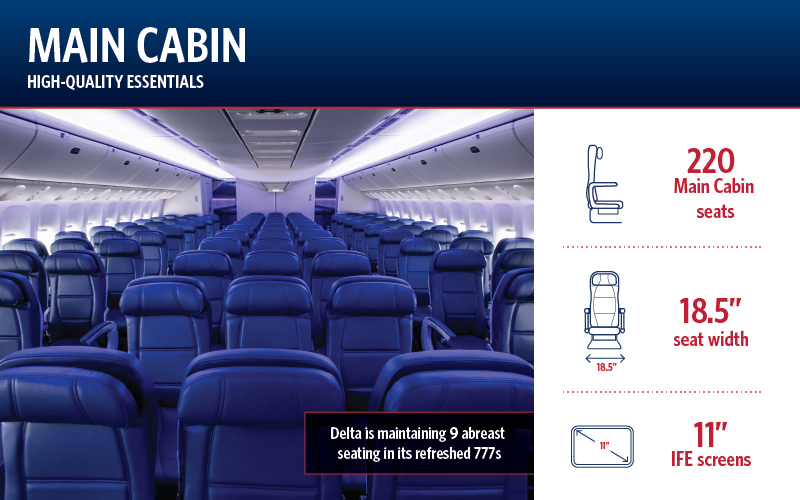 Delta Premium Select, the airline’s new premium economy cabin offering greater recline, a foot and leg rest and elevated onboard service. Seat-back entertainment screens at every seat with access to Delta Studio, the airline’s award-winning suite of onboard entertainment. State-of-the-art interior with full-spectrum LED ambient lighting, Gogo Ku Wi-Fi connectivity, free mobile messaging and power ports available at every seat. The Delta One suite features a full-height sliding door at every suite, with sliding privacy dividers between centre suites, 180-degree flat-bed seats, customisable ambient lighting, and a high-resolution in-flight entertainment screen. Customers seated in Delta Premium Select will benefit from dedicated service, additional space with retractable foot and leg rests, seat-back in-flight entertainment, plated meals and distinguished amenities like LSTN noise-cancelling headphones and a TUMI amenity kit. 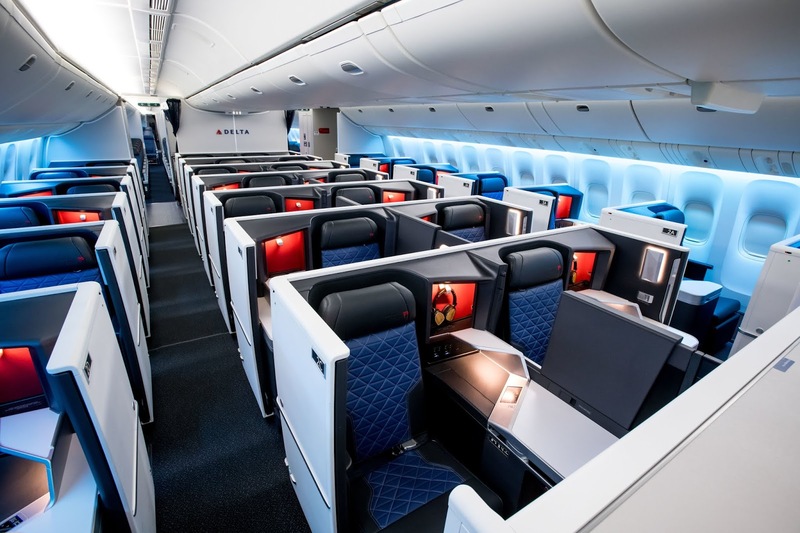 The Boeing 777 upgrade is the latest enhancement on the Sydney-Los Angeles route as part of Delta’s multi-billion dollar investment in the overall customer experience. In 2018, Delta launched meals curated by celebrated Los Angeles chefs Jon Shook and Vinny Dotolo in the Delta One cabin after customer satisfaction scores skyrocketed in response to their menus on the LAX-JFK route. Highlights from the upcoming menu launching June 1 for the U.S. summer season include marinara braised meatballs with Bianco DiNapoli tomato, garlic bread, and Gioia ricotta; pan seared chicken thigh with arrabiata sauce and Thao’s Farm broccolini; marinated shrimp with Anson Mills polenta; and three cheese lasagna with pomodoro. Free Main Cabin meals on select coast-to-coast routes in the U.S.
Delta also disrupted the airline industry in a number of ways in 2018 and has been recognized as one of Fast Company’s Most Innovative Companies Worldwide. The global carrier partnered with U.S. Customs and Border Protection to introduce the first-ever fully biometric terminal in the U.S. Using facial recognition technology, customers can opt to go from check-in to bag drop, through security and on to the plane by looking into a camera to verify their identity, instead of fumbling for their ticket and passport at each touch point. Other innovative solutions for customers and employees that launched in 2018 include state-of-the-art de-icing resources, an industry-first wireless in-flight entertainment system created through Delta’s in-house start-up, as well as a bevy of proprietary platforms to support employees in delivering the Delta Difference. In 2017, Delta also unveiled its industry-leading work to deploy RFID bag tags and tracking tools so customers can track their checked bags in real time while receiving push notifications via the Fly Delta app. Delta launched its flight between Sydney and Los Angeles in 2009 and will celebrate the 10th anniversary of its service this year. Delta and Virgin Australia began partnering in 2011. Together, Delta and Virgin Australia have served more than 5 million customers on the route with a shared vision of excellence in customer service and the customer experience. 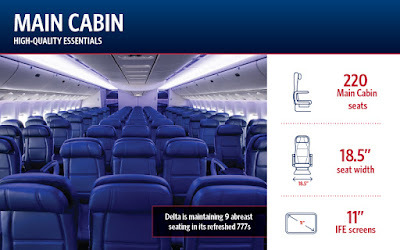 Delta’s upgraded 777 aircraft means that the Delta and Virgin Australia joint venture offers a more consistent customer experience, with fully flat-bed seats with direct aisle access available on all flights across the Pacific as well as a premium economy option, an economy comfort product with more legroom, and nine-abreast seating in main cabin. 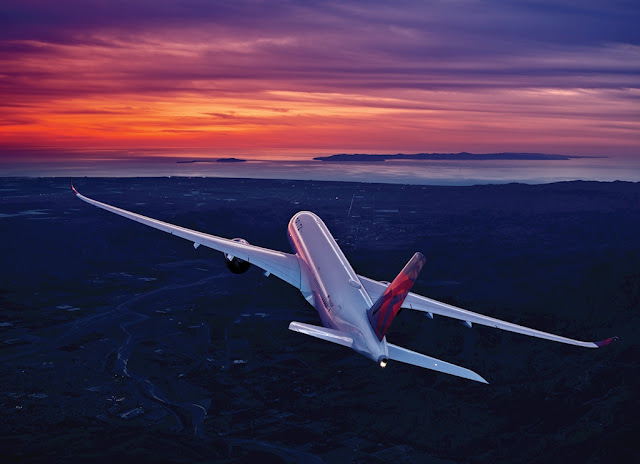 Delta and Virgin Australia offer 25 weekly flights between Australia and the US and the ability to connect from more than 45 destinations across Australia and New Zealand to more than 250 destinations in the Americas. Delta operates a daily non-stop flight between Sydney and LAX and offers customers service from Melbourne and Brisbane to LAX through its Virgin Australia partnership. At its hub in Los Angeles, Delta has been the fastest-growing carrier since 2009 and operates 170 peak-day flights to 70 destinations. The airline is investing $1.86 billion to build the Delta Sky Way at LAX, which will modernize and upgrade Terminals 2 and 3 at LAX and connect them to the Tom Bradley International Terminal (B). When completed, the modernized facility will offer a convenient bridge connecting Terminals 2, 3, and B on the secure side of the airport, as well as a dedicated baggage recheck and security checkpoint for seamless connection of international to domestic transfers, enabling significantly faster connections to Delta and partner flights. The facility will also offer more security screening capacity with automated security lanes, more gate-area seating, more access to power in gate areas, a world-class concession program in partnership with Westfield Corporation, a Delta ONE at LAX check-in space, new Delta Sky Club; and an integrated in-line baggage system, among other features. Delta’s customer experience, innovation, operational performance and culture have earned it accolades as well. The airline was named to Fortune magazine’s top 50 Most Admired Companies in 2019 and was named the most admired airline for the eighth time in nine years. For the second consecutive year, Delta was named one of Fast Company’s Most Innovative Companies Worldwide - the only airline on the who's who list of tech disruptors including Apple, Microsoft, Google and Rocket Lab – for its deployment of biometrics to streamline the customer experience, combined with its groundbreaking weather app that enhances safety and comfort in flight. Operationally, Flight Global recognized Delta’s strong performance by awarding Delta ‘Most On-time North American Mainline,’ ‘Most On-time North American Network Airline,’ and ‘Most On-time International Mainline Airline.’ It’s the second year in a row Delta has taken top honors in the annual On-Time Performance Service Award. Delta has also been recognized as a top workplace on Glassdoor’s ‘Best Places to Work’ list and Fortune’s ‘100 Best Companies to Work For’ list, both of which use the input of employees to determine their results. The Fortune award was announced on the same day as Delta’s annual Profit Sharing Day, during which the airline paid out $1.3 billion in profit sharing to Delta people in recognition of their performance in 2018.